Unlike the well-paid sanitation workers at DSNY, private sanitation workers often earn lower wages to work in similar or worse conditions. At the lowest end, truck helpers make the state minimum wage of $8.75 per hour and truck drivers make $18 per hour. Rates for both positions are higher for unionized employees. on challenges facing the city’s municipal waste system. As midnight approaches, commercial garbage trucks rule the streets of New York. On a Thursday night in Lower Manhattan, trucks from five different companies can be spotted within as many blocks. Workers hang off the back on a marathon ride to pick up New York’s unwanted debris. The sun will be up all too soon and they have hundreds of stops to go. The Department of Sanitation (DSNY) doesn’t pick up commercial waste, permitting a parallel—but very dissimilar—system to operate. Every night of the week, potentially thousands of trucks from different private carting companies crisscross the five boroughs. They go where the money takes them and have ever-changing stops at varying times of night, with shifts that often last 10 hours or more. Clients range from laundromats with a couple light bags to restaurants with dense, leaky piles to office buildings with mountains of garbage. This variation in routes and material collected has led to increasing questions about the system’s efficiency and effectiveness. “The commercial waste system is a disaster and they’re the only ones in denial,” says Antonio Reynoso, chair of the City Council’s sanitation committee. A campaign called Transform Don’t Trash (TDT) aims to reform the system. Led by the Alliance for a Greater New York (ALIGN), New York Lawyers for the Public Interest (NYLPI), Teamsters Joint Council 16 and the New York City Environmental Justice Alliance, the campaign has been publishing reports and holding rallies to bring more attention to the industry. Because the private carting companies report statistics about their operations to a variety of government agencies—not all of it publicly available—getting a full picture of the commercial waste system is difficult. More than 250 private carting companies hold approved trade waste removal licenses with the city. Yet this list also includes companies that pick up construction and demolition waste, cooking grease, scrap metal and other items. A commonly cited 2013 study by an environmental consulting firm said there were 4,281 licensed trucks collecting commercial waste and recyclables at the time. That also included grease tankers, box trucks and other types of trucks. Estimates about the amount of miles driven by commercial trucks are also unreliable. Based on even the most conservative figures they still travel about twice as many miles per year as DSNY trucks to collect a similar amount of waste. According to a recent TDT report, the amount of commercial waste generated in the city—not including construction and demolition—could be as high as 5.5 million tons per year. Yet the 2012 DSNY study that the figure comes from indicates the amount is purely an estimate and not based on any actual measurements. The report said that 3.5 million tons is a more reliable amount. A spokesperson from DSNY confirmed this. The TDT report also notes that the industry’s 25 percent recycling rate is much lower than the 40 percent listed by the city in its 2011 PlaNYC update. Mayor de Blasio’s OneNYC proposal has called for a 90 percent reduction in commercial waste by 2030, along with an increased diversion rate for recyclable materials. Environmental advocates applaud this, but say it may be hard to achieve in such a complicated system. The 2012 DSNY study noted as many as 79 different carting companies operating in Midtown Manhattan. These trucks then tip in a variety of places—mainly the three transfer station hubs in the South Bronx, northern Brooklyn and southeast Queens. 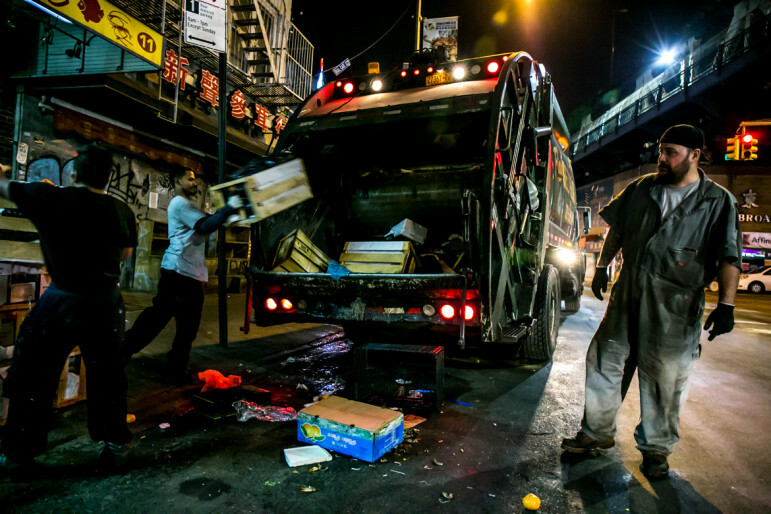 “We want a system where a truck that picks up waste in Coney Island doesn’t take it to a facility in the South Bronx,” says Gavin Kearney, director of environmental justice for NYLPI. Advocates are pushing for a new franchise system, where a limited number of carters could bid for the rights to pick up a particular zone's garbage. In order to win the bid, they would have to agree to high labor standards and increased recycling rates. TDT is pushing for a new franchise system, where a limited number of carters could bid for the rights to pick up a particular zone’s garbage. In order to win the bid, they would have to agree to high labor standards and increased recycling rates. The plan would also require carters to be more efficient by driving to nearby transfer stations, rather than ones where they may have a deal with the owner or prefer for another reason. The benefit to carters would be a long-term contract for the zones, potentially for upwards of 10 years, as compared to the short-term deals they have with clients now. A similar plan was unsuccessfully proposed by the administration of Mayor David Dinkins in 1992. This latest campaign has already been met with resistance by the private carting industry and will likely be a long fight. “I haven’t even accepted the premise that there are too many trucks on the road,” says Steven Changaris, Northeast regional manager of the National Waste & Recycling Association (NWRA). Tom Toscano, chair of the NWRA’s New York chapter and chief financial officer for Mr. T Carting, agrees. He estimates that out of the 250 registered carters, only 80 to 90 companies are currently picking up commercial solid waste in a maximum of 1,500 trucks. Under an existing City Council law, private carters are already required to update their trucks to meet 2007 EPA emission standards by 2019. Toscano attributes the variation in routes and amount of carters per block to serving the needs of the customer. While an office building can be picked up earlier in the night, a restaurant or bar may not be ready until early morning hours. He says that by limiting customers’ options, and putting more restrictions on carters, prices could go up. 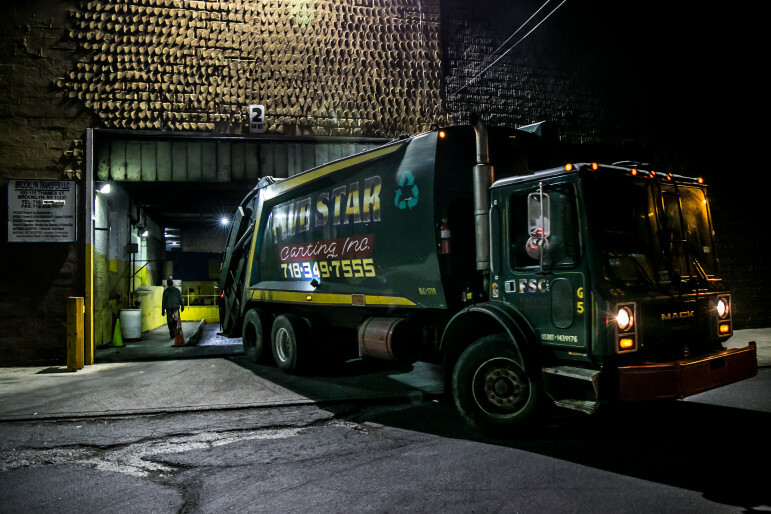 Toscano says that garbage trucks are only a small part of the city’s larger truck fleet and feels the extra attention they receive stems from outdated perceptions. New York’s private carting system has been a contentious subject for decades. Beginning at least in the 1950s, the industry was controlled by organized crime families. As a result, prices were often inflated and new competition was met with very strong discouragement. Mayor Rudy Giuliani eventually cracked down on companies affiliated with organized crime and put different systems in place. In 1996, what is now called the Business Integrity Commission (BIC) was established to regulate the industry’s rates and practices. While BIC plays a large role in approving or denying business licenses, DSNY oversees waste standards and the Department of Transportation regulates vehicle safety. None of these agencies are directly responsible for enforcing labor standards. This makes for a confusing mix of oversight, which some commercial garbage workers say lets issues slip through the cracks. The current push to regulate private carters echoes a similar attempt during the Dinkins administration. It failed. Union representatives say the industry does have some good companies, but they’re the exception rather than the rule. The two most prominent unions are Teamsters Local 813 and Laborers Local Union 108, though a number of other independent unions have been growing in recent years. These smaller unions often draw criticism for what representatives of Local 813 and Local 108 see as too much cooperation with employers. Mike Hellstrom, business manager for Local 108, led a campaign against one of these unions—United Service Workers Union Local 339—to organize at Mr. T Carting. Local 339 won by a narrow margin, but Hellstrom says it was never a fair fight. “It’s hard enough when you go up against a boss one on one. That’s a hard road to plow. When you go up against the boss and the independent union, now you’re fighting two armies with one arm behind your back,” he says. Kevin Barry, a business agent for Local 339, refutes these claims of illegitimacy. He says that his members have strong contracts and are part of an organization with 35,000 members in the tri-state area. “For a not legitimate union we have an awful lot of members,” he says. Tom Toscano says that his employees at Mr. T Carting get paid well, with good benefits, and are better off than they were with past unions such as Local 813. He thinks the TDT campaign is an effort by Local 813 to regain more control of the industry. “Every employer fights tooth and nail to stay out of 813 and their ranks have diminished. As they say in football, this is the Hail Mary pass,” he says. Alex Moore, communications director for Teamsters Joint Council 16, would not share membership figures but strongly disagrees with Toscano’s claims. Union politics aside, drivers and helpers for private carting companies have tough jobs under even the best circumstances. Allan Henry, a labor organizer for Teamsters Local 813, worked in the industry for 28 years and says that he believes conditions have gotten worse. He says that crews are expected to complete routes with anywhere from 200 to 700 stops around the city in one night. “You have a route that you know you can’t get done following the law,” says Henry. He remembers driving more than 100 miles per shift on multiple occasions and feeling obligated to run red lights to keep on schedule. He says some companies only pay by the shift, regardless of how long the route takes, and those that pay hourly get upset when they think crews are taking too long. On top of that, he says, workers are often put in unsafe situations. Unlike municipal sanitation trucks, which are maintained by the city and regularly updated, private trucks have less oversight. Workers have reported that it’s not uncommon for brakes to fail, the steps that they stand on to be rusted out or the truck’s compactor to malfunction. A 2013 report by the Bureau of Labor Statistics listed waste collection as one of the most dangerous jobs in the country. Non-unionized workers have to file safety complaints with the Occupational Safety & Health Administration (OSHA), which has limited resources. According to a 2014 report by the New York Committee for Occupational Safety and Health (NYCOSH), OSHA only has 71 inspectors for the entire state. “That’s for millions of workers, potentially hundreds of thousands of businesses, which are eligible to be monitored by OSHA,” says Charlene Obernauer, executive director of NYCOSH. 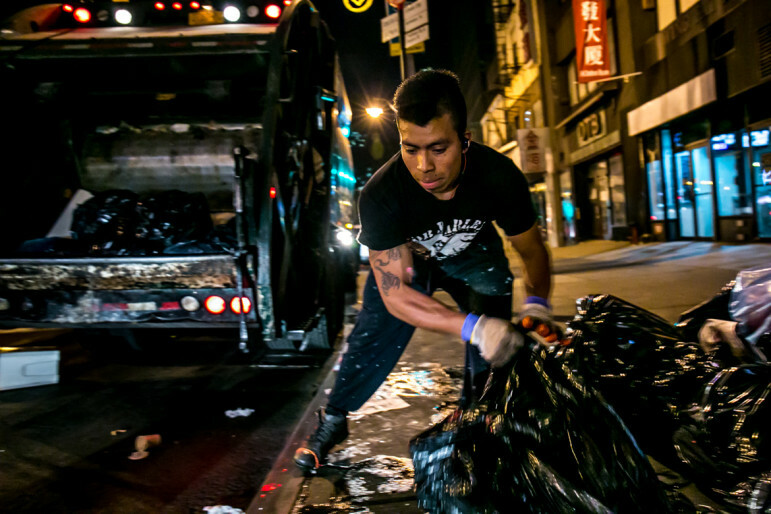 Unlike the well-paid sanitation workers at DSNY, private sanitation workers often earn lower wages to work in similar or worse conditions. At the lowest end, truck helpers make the state minimum wage of $8.75 per hour and truck drivers make $18 per hour. Rates for both positions are higher for unionized employees. Truck drivers make more whether they’re unions members or not because a commercial driver’s license is required. A 2013 report by the Bureau of Labor Statistics listed waste collection as one of the most dangerous jobs in the country. Advocates say that higher labor standards could be achieved as part of a zoning system, but not everyone is sold on the idea. “This is not one simple fix,” says Hellstrom of Local 108. Hellstrom says that companies who lose bids in a potential zoning system would have to lay off workers. Instead of taking that approach, he says that wages could be raised with separate City Council legislation and pointed to BIC standards as part of the problem. The agency sets caps on what carters can charge customers—$18.27 per cubic yard or $11.98 per hundred pounds—but no minimum amount. “That induces low-road contractors to start to breed because they’re more about the profits than the workers,” he says. At the April 29 hearing, city officials recognized that change might be necessary but cautioned against drastic action. “Whatever choices we make will have far-reaching and dramatic consequences. While we cannot allow the magnitude of this task to paralyze us into inaction, we must be responsible and careful in making our decisions,” said BIC Commissioner Dan Brownell. BIC recently announced that it will be conducting a study in partnership with NYU’s Center for Urban Science and Progress to better understand how a zoning proposal would affect the private carting industry. Brownell said that it would be completed within six to nine months at the earliest. Labor advocates point to other cities, such as Seattle and San Jose, where zoning systems have been implemented as proof that it can be done in New York. These cities have seen increased recycling rates, though also had much smaller private carting industries to tame. Los Angeles is in the process of assessing bids from 15 companies for a total of 11 different zones. By comparison, DSNY divides its five borough collection into 59 districts. Hays Witt helps organize waste-related campaigns for a community organizing group called the Partnership for Working Families and says that any new program has to be comprehensive if change is going to happen. “You can’t tinker around the edges. You really need to go bold to get all the benefits that cities are after,” he says. Changaris, of the NWRA, says that while his members don’t agree with a zoning solution, they’re open to any change that will improve service for their customers. 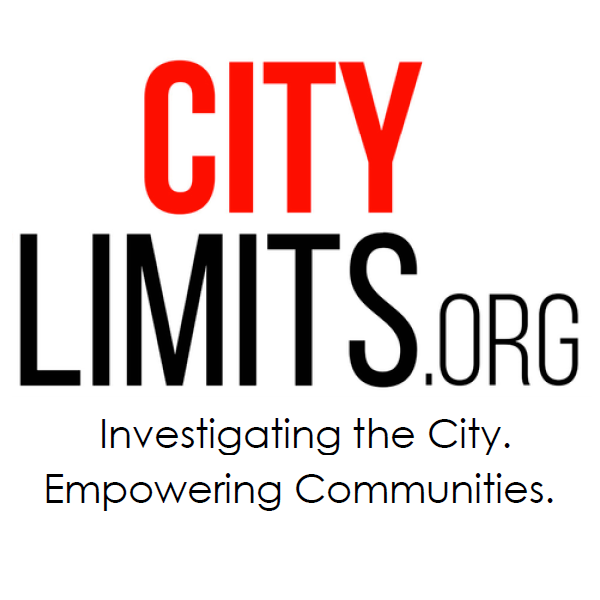 Reader support makes City Limits possible. Join today! Council Member Reynoso said more hearings will be scheduled throughout the year and that legislation is an option. According to the OneNYC report, DSNY will also begin looking at ways to streamline commercial recycling standards. In the meantime, commercial waste will still be collected every night by a wide-ranging fleet of trucks and labor organizers like Allan Henry will continue waging their campaign. With research assistance by Liridona Duraku. The MTS on East 91st Street is wrong on many levels: It cannot claim to be “Grandfathered In” because it is not being built “In the Footsteps” of the old facility as the law states; it is costing 3x over budget & even more now that construction is being done on weekends; It will cost over 5x current cost to dispose of garbage; It is “Against the Law to Build This Type of Facility Closer Than 500′ From a Residential Community While “This One is 300′ From a Residential Community”; this neighborhood has one of the highest rate of asthma now & MTS will make it even higher; being built in Flood Zone A which was badly damaged by Hurricane Sandy; it belongs in a commercial neighborhood; traffic & pollution from garbage trucks running 24/6 will prevent school buses, cars, & delivery trucks from driving on York Avenue; they continue to work on this facility although their NYSDEC permit expired over 6 months ago; and the list goes on! sanitation workers at DSNY stat at 35,000 and private sanitation workers 50,to 65,000 this article is a bunch of B.S. And giving the poor economy excuse to people who dont know any better. Health benifits are terrible pentions have been broken and 401k contributions have all but stopped. So no its not BS its 100% true. This is not a safety issue only for the workers in these companies but also for everyone else, pedestrians, cyclists, and motor vehicle drivers, who share the road with the carters’ trucks that come flying through red lights and stop signs, zipping up the wrong side of the street, sitting in crosswalks and bus stops. Every worker should be fairly compensated and provided with a working environment that is safe. The article notes also that trucks aren’t maintained; think about that next time you see one of these garbage trucks heading towards you — he may not be able to stop even if he tries to. Why havent we tried this say UPS,FEDEX,DhL, or the other courriers? or say the bottling companies soft drink companies, Even the beer companies, the milk delivery companies. The produce/grocery companies quadruple the trash companies in NY. Why dont we just bid out all these types of route based industries that all criss criss eacother all day every day? Why are we targeting the wates industry? When will some of you people learn that by limiting who picks up commercial trash will cost you more in youre every day shopping eating etc… Why would everyday buissness owners allow the govt to chose who they must contract for commercial waste? So having less options is better? Recyling rates are less than 20% ? Who is doing the counting or investigating last I remeber most recyclables are recycled to keep the trash cost down!! We are going to allow a city council member with less than 4 years to completely overhaul an industry that has been in place and working? Last i seen people were stealing recyclables off the street to make extra cash!! I can answer that. The choice of who the owner goes with is the smallest concearn as far as who picks up there trash. Where in fact the sales floor has been so underbid without regulation that in order to make money on the truck multiple laws have to be broken in order to complete routes. Owners of private sanitation companies have litteraly been forced to the point where they have to squeeze 400+ customer into 1 truck on certian routes to even make a profit. So where clearly “free market” has failed certian regulations must be placed into affect as soon as possble to help reduce the chaos that has surrounded this buisness. As far as the couriers you spoke of the imidate danger is already presenting itself in the private waste industry. That is why it is important to tackle this factor as quickly as possble. Bidding the garbage routes is a great idea. These companies will have to follow the orders of the bid specs. The specs will stipulate what year the carters trucks will have to be or how much money each employee has to be paid and where all the garbage has to be disposed, so on and so fourth. And before anyone thinks It will cost more money to the customer, IT WILL NOT!!! There are several carters that will bid way lower than what there getting now. Its a proven fact on the bidding process. But! You will have to limit how manys areas or districts a carter can win in the bid. Reason being that will stop or at least control companies from bid rigging. 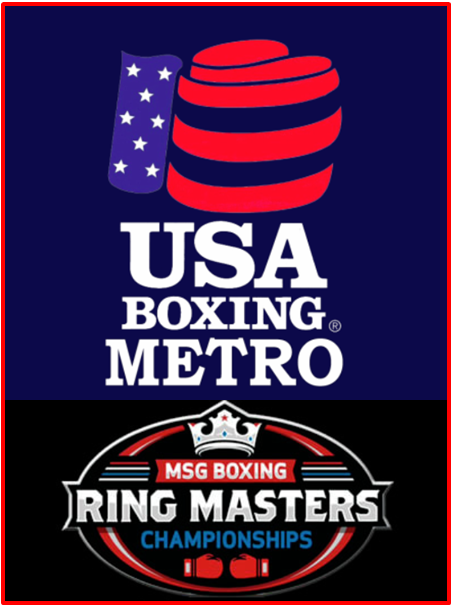 Of course we no it will never stop the MAFIA from earning cause the private sanitation industry is one of the mobs biggest earners. So forget that but the bidding has always proven to work. If i were the city i would make the bids every 5 years with 5 1 yr extensions. Every carter is gonna want that extension so there gonna do the right thing to earn those extensions. There are so many things that can be controled with the bidding process therefore it makes for A GREAT IDEA! New York is diverting more and more organic material like food waste from landfills to composting projects. The big challenge might not be collecting the stuff, but figuring out where to put it all. 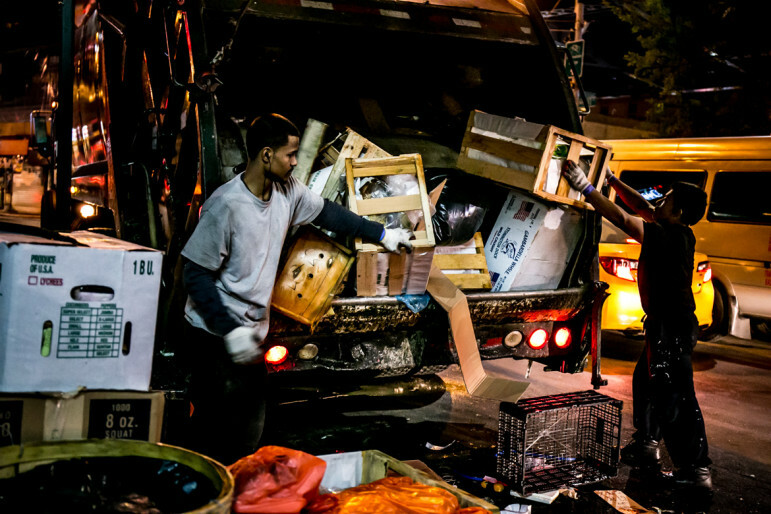 Poor facilities have discouraged NYCHA residents from recycling for years. While some tenants took matters into their own hands and the de Blasio administration promises a better approach, one environmental group is taking steps toward a lawsuit. Mayor de Blasio wants to spare residents the hassle of separating paper from glass, metal and plastic. The move will likely boost recycling but its impact on city finances, commercial carters and total waste levels is hard to predict.